Friday night I arrive in the Beth Knesseth, the House of Prayer, and my neighbor asks me, "Have you heard the news?" In Israel that is never a good phrase to hear. Soon everyone is talking about it, 3 teenage boys taken hostage by the enemy. Again. They were hitchhiking. So I say, "They should never have been hitchhiking! This has happened before". And my neighbor responds, "But it has been such a long time since this has last happened". And here is the crux of the problem. It has been a long time since the outbreak of the black plague, or the last epidemic of polio or cholera. Does this mean we stop the vaccinations? Everyday our enemies try to take our people hostage so they can use them for barter to release their murderers from our prisons. How can we become complacent? How can we let down our guard! People often ask me if Israel is safe and I say, yes, it is. It is in fact probably one of the safest places in the world but only for one reason: our system of self-defense. We are safe because of our security, our defense system, our alert system, our military and our intelligence system. Every morning our enemies wake up with plans to hurt us. Our country is safe but not because of our enemies lack of trying. It is safe because we are careful. This answer, "It has been such a long time" infuriates me. A woman gets raped and everyone wants self-defense classes. A few weeks pass and the enthusiasm dies down. A school shooting takes place and everyone is talking about self-defense. As soon as the issue is out of the headlines, the matter is dropped. Only a tiny fraction of the population is engaged in any type of self-defense training. At IKI Krav Maga our goal is to reach as many people as possible. We do not get tangled up in fancy joint locks or techniques that only the highly athletic can do. We do not teach systems that require years to be of any benefit. And our training is not only physical. Our classes are not about sweating and doing push-ups. Our classes are about giving you the tools to survive. We want to help the young and the old, the athletic and the non-athletic, the police officer and the computer guy. Some styles of Krav Maga are offering a false image to the world. They are sending out instructors with huge biceps and tattoos, guys in camouflage military fatigues (not worn in Israel, not Israeli at all). But today our Krav Maga students, our participants in Tour and Train saw the real Israel. This morning at 7 am I was taking some of our students to the House of Prayer when we saw an unusual sight. My neighbor, a religious Orthodox boy, a Krav Maga student of mine, was entering his parents car. It is the Sabbath and we do not drive. But he was in uniform and his parents were walking him out to the car. He is no Rambo, he does not have huge muscles, but he is a member of an elite counter terrorism unit and he has been called up to help find those boys who were taken hostage. Later on we saw other boys, Orthodox devout Jews in uniform, with rifle and with a kipa on their head, heading out for the mission. Protection of life supersedes the Sabbath. These are our warriors, young men, highly motivated, regular guys. They look nothing at all like the advertisements you see from the Krav Maga schools. They do not look like those ads and they do not train like those schools. 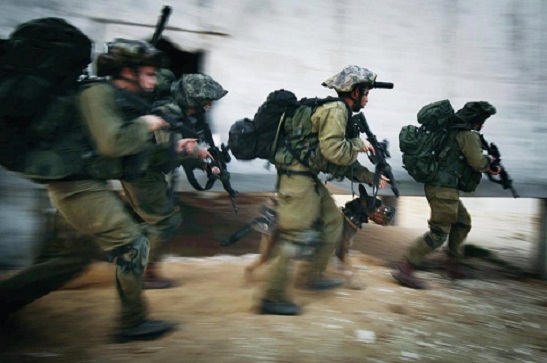 At IKI Krav Maga we train for reality, we train for survival, we train the Israeli way.